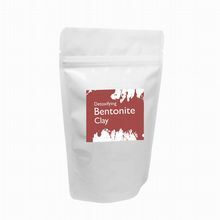 Sodium bentonite clay is naturally detoxes the skin and body. When mixed with water it becomes charged and has a wonderful ability to naturally draw out toxins and heavy metals from the body and skin. It tones and tightens and helps to create radiant glowing skin. Oooh Skincare is dedicated to providing a range of natural skincare and wellbeing products that do not contain harmful ingredients. you regular updates and offers on our products.